If you want to see one of the greatest ancient man-made structures in the world, head to the Teotihuacan archaeological site. It is about an hour north of Mexico City. Deemed a UNESCO World Heritage Site in 1987, Teotihuacan is the most visited attraction in Mexico. Built in 100 B.C., the city was an important religious site for the ancient Aztec people. Teotihuacan was at its height, home to over 200,000 inhabitants. The entire archaeological zone is comprised of pyramids, plazas and palaces. The two most famous structures at the site are the Pyramid of the Sun and the Pyramid of the Moon. Several tour groups offer day trips to the pyramids, ranging from $25 and up. Tours can be booked in advance online, booked through your hotel concierge or booked directly from tour vendors located around Zócalo in the Centro Historico. These trips offer a wide range of options. Opt for a fully-organized trip with meals and extra excursions to the Basilica of Guadalupe, or just transportation to the pyramids. You can even take a hot-air balloon ride over the pyramids! 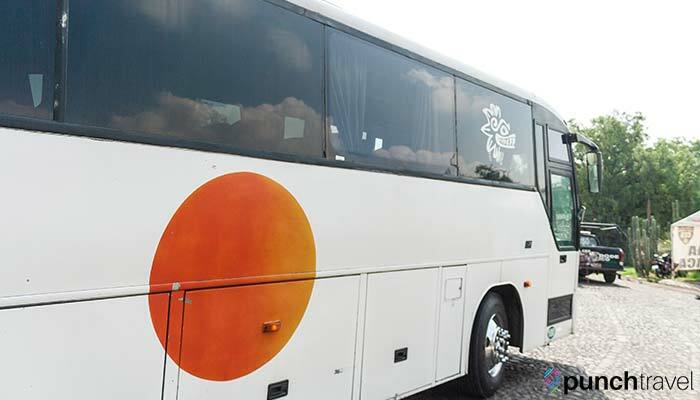 A cheaper alternative to the tour groups is to make your way to Teotihuacan on your own by taking a public charter bus. Tickets do not need to be booked in advance and the entire process is extremely easy. Follow our step-by-step guide below. Make your way to the Autobuses del Norte bus station , about 30 minutes from the Centro Historico. We took an Uber to the bus station, which cost 60 pesos from Anzures, but you can also take the subway to the metro station right in front of the bus station. The bus station is large and clean. Several fast-food restaurants and cafes serve food in the center of the station. The ticket counters line the front of the station. 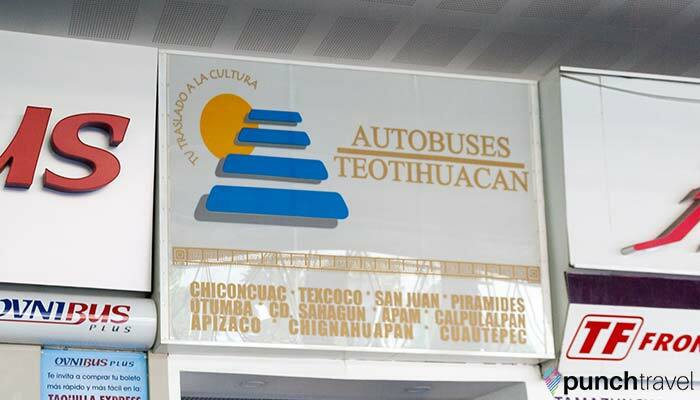 There is only one bus company that serves the Teotihuacan pyramids, called Autobuses Teotihuacan. Their ticket desk is located on the left of the bus terminal, near Sala 8. As of this writing, a round-trip bus ticket to the pyramids costs 92 pesos. You can also buy one-way tickets if you prefer. 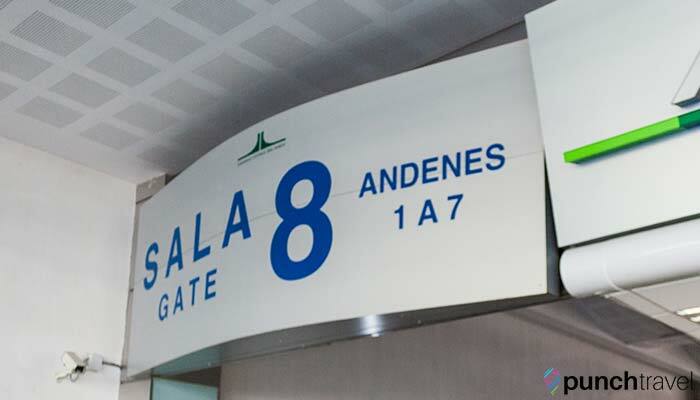 Once you have your paper ticket, make your way through Sala 8 and pass through a brief security scan before entering the loading zone. Buses leave every 30 minutes from Autobuses del Norte to the pyramids. The bus to the pyramids is marked Zona Ecological on the front. Both the bus station staff and the locals are very friendly in pointing you to the correct bus. You’ll probably notice other tourists headed to the pyramids as well. On the bus, seating is open, despite the seat assignment on your ticket. The bus is comfortable, clean and air-conditioned. The ride takes about an hour to reach the pyramids, with the first 30 minutes of the ride consumed with picking up various merchants selling snacks or playing music for tips. You’ll notice at one of the first pick-up stops along the way, a man with a video camera coming on board. This happens both on the way to the pyramids as well as the way back. I believe this is a security measure to record every passenger’s face since not all the buses are equipped with security cameras yet. 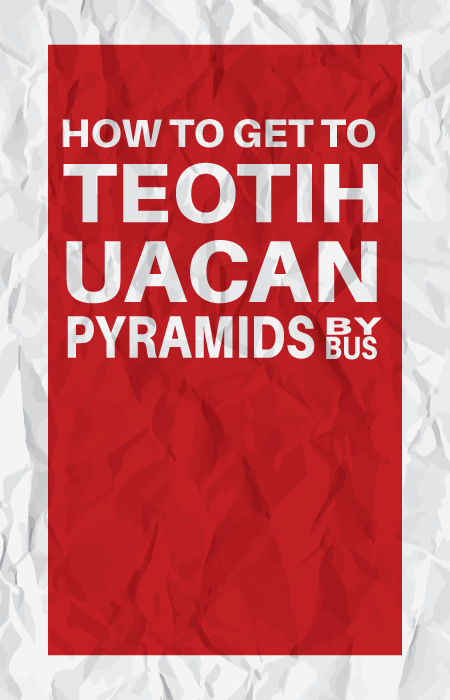 Once the bus is on the freeway, it’s a quick ride to the pyramids. The ride takes you through some of the rural towns and you’ll see hundreds of colorful houses dotting the hillside. There are three main entrances at the pyramids. The bus drops you off at Puerta (Door) 1, the first entrance. Here you will need to purchase your ticket, currently 65 pesos. Your ticket includes access to the pyramids, as well as three museums on the property. Guided tours are available in Spanish, but local English-speaking guides are positioned at the entrance offering their services. The archaeological zone is comprised of multiple pyramids, plazas and palaces, as well as several museums. Check out our other post on What to See at the Teotihuacan Pyramids. The bus picks up passengers from Puerta 3, closest to the Pyramid of the Moon. There is no signage marking the bus stop, but ask any of the staff and they will gladly point you in the right direction. 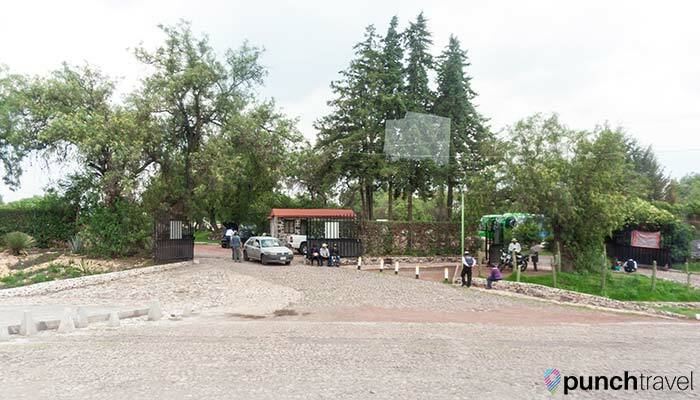 The bus will stop in front of the sign marking the Museo de los Murales Teotihuacanos. Look to the front of the bus for a sign indicating Terminal Central del Norte de la Ciudad de México or simply “Central”. The return trip will make a few local stops in the center of town around the pyramids before returning to the city. Very helpful! Followed instructions to take the bus to the Pyramides and everything was as described.